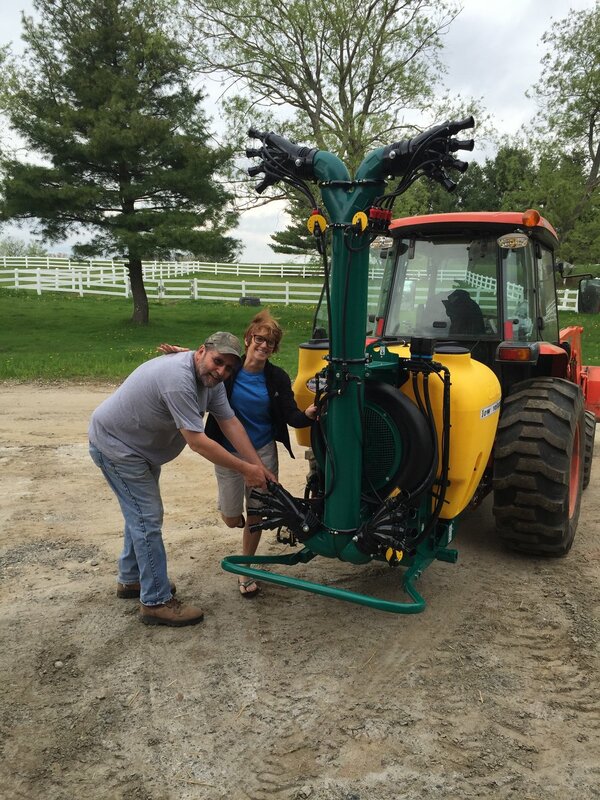 WE USE OUR KUBOTA TRACTOR TO DIG DEEP HOLES INTO THE SOIL. 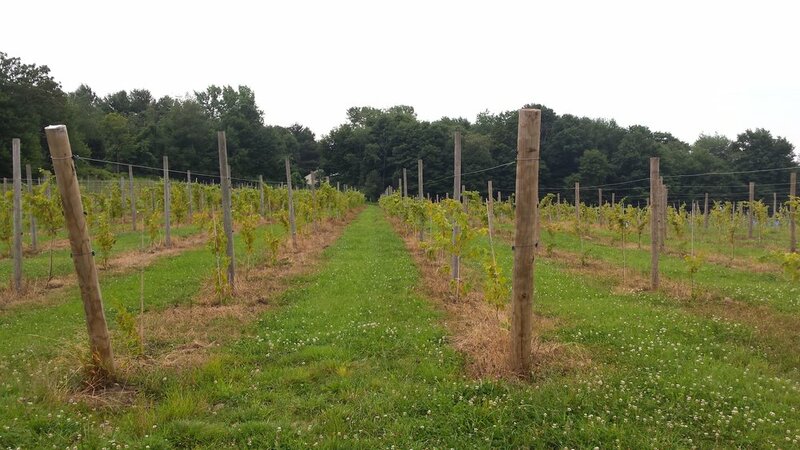 EACH GRAPE VINE IS SWIRLED IN A SOLUTION OF ROOT GROWTH NUTRIENTS PRIOR TO BEING PLANTED. THE VINE IS GENTLY PLACED INTO THE SOIL AND AND THEN COVERED WITH DIRT. A STAKE IS PLACED NEXT TO THE HOLE, AND A BLUE PROTECTIVE TUBE IS PLACED OVER THE STAKE TO PROTECT THE YOUNG LEAVES. THERE ARE LOTS AND LOTS OF VOLUNTEERS TO HELP WITH THIS PROCESS. 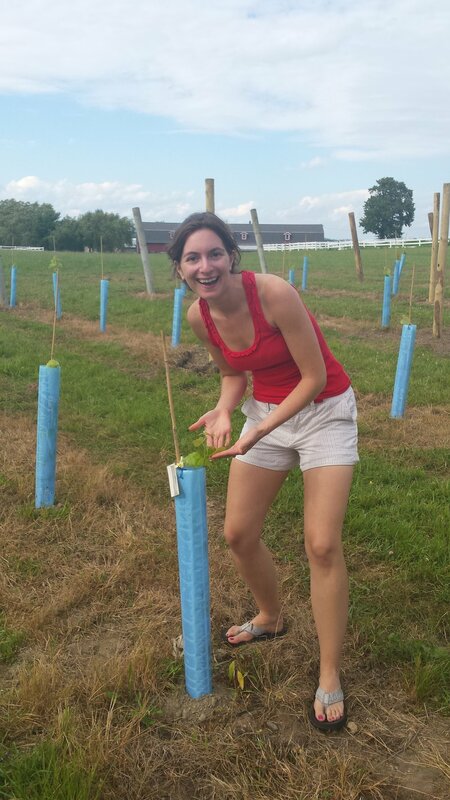 ONCE THE YOUNG VINES HAVE ADAPTED TO THEIR NEW HOME, THE BLUE TUBES ARE REMOVED. 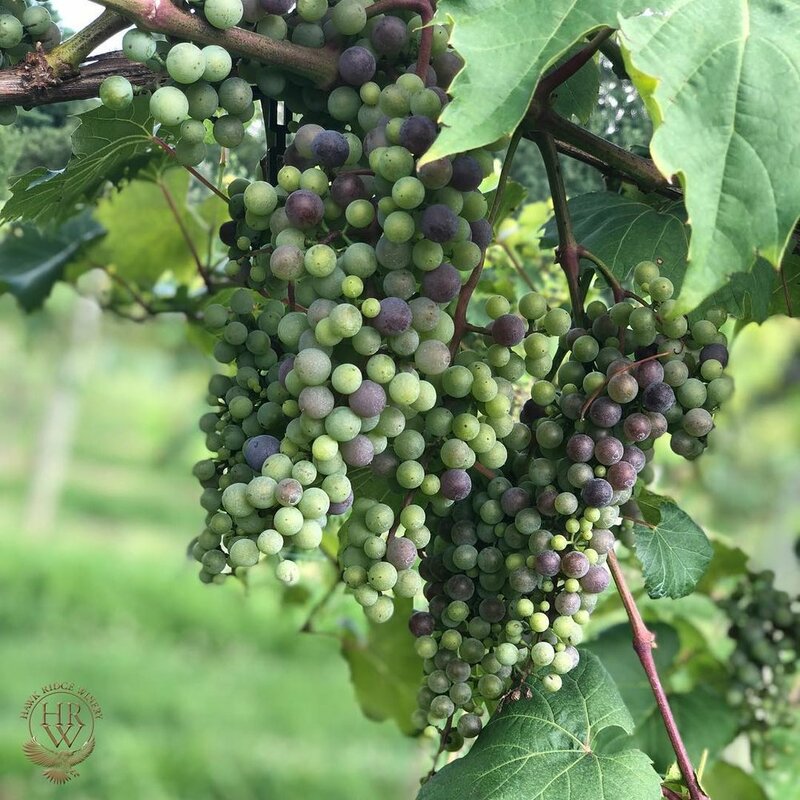 THE VINES ARE TREATED TO PROTECT THEM FROM PREDATORS SUCH AS DEER, JAPANESE BEETLES, AND OTHER WINGED AND FOUR-FOOTED CREATURES. 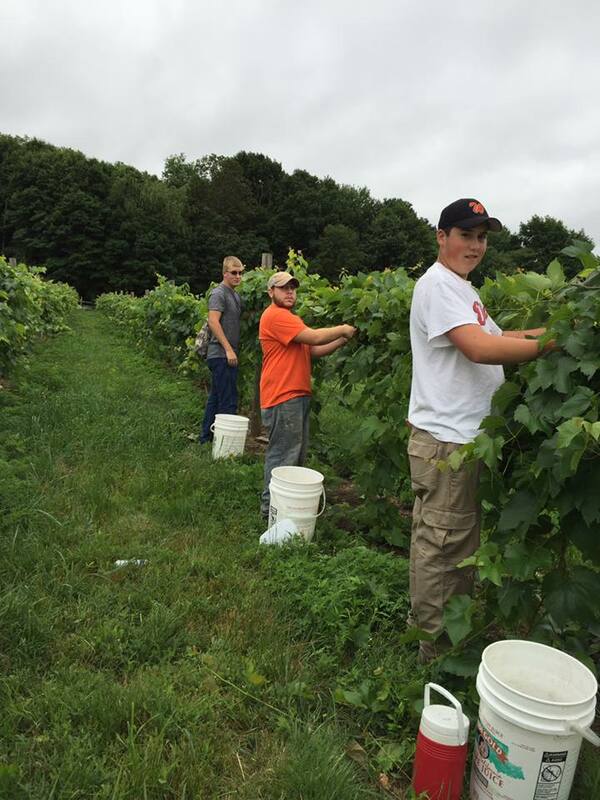 THE VINES ARE CONSTANTLY MONITORED TO EVALUATE THEIR OVERALL HEALTH. THERE IS A NEVER-ENDING CYCLE OF PRUNING, CLIPPING, AND TRIMMING. 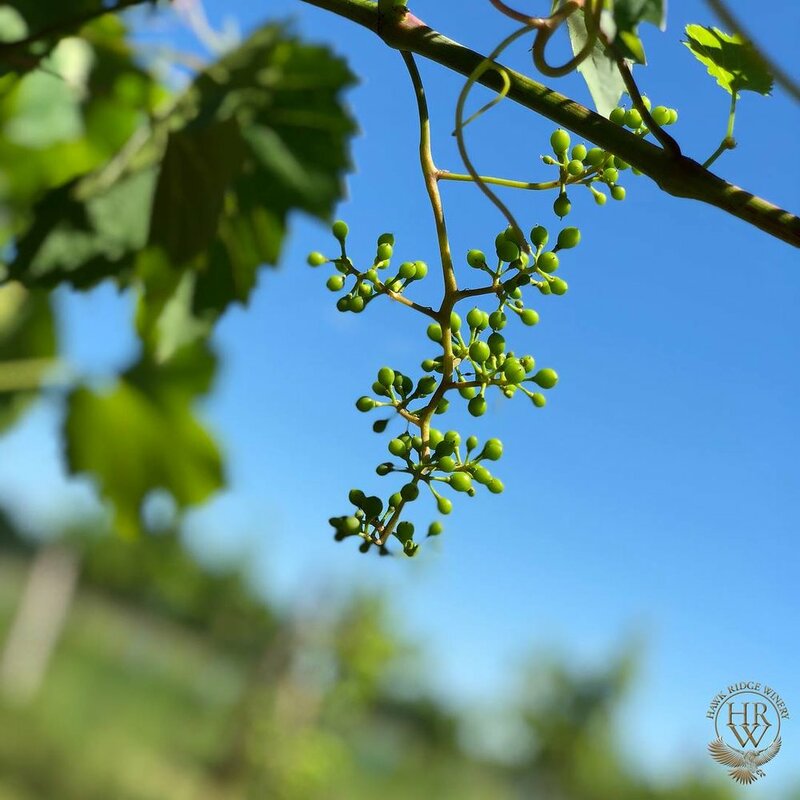 WHILE GRAPES BEGIN GROWING ON THE VINES IN THEIR 2ND SEASON, THEY ARE REMOVED FROM THE VINES TO ALLOW THE NUTRIENTS TO CHANNEL INTO THE TRUNKS OF THE VINE. THIS ALLOWS THE TRUNK TO GET THICKER AND STRONGER. IT IS NOT UNTIL THE 3RD SEASON THAT THE GRAPES ARE MATURE ENOUGH TO HARVEST AND USE TO MAKE OUR WINE. 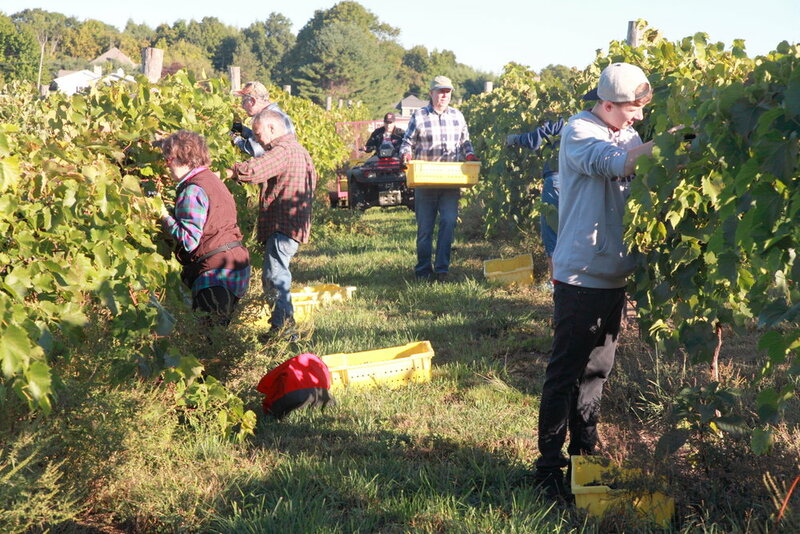 THE GRAPES ARE CLIPPED FROM THE VINES BY OUR VOLUNTEERS (THANK YOU ALL!) WHEN THERE IS A CERTAIN AMOUNT OF SUGAR (ALSO KNOWN AS “BRIX”) IN THEM. THE CUT GRAPES ARE THEN BROUGHT UP TO OUR MANUFACTURING FACILITY, LOCATED ON THE PROPERTY, TO BE CRUSHED AND PRESSED. THE TYPE OF WINE WE ARE PRODUCING (WHITE, ROSÉ, RED) WILL DETERMINE HOW LONG WE ALLOW THE GRAPE SKINS TO REMAIN IN CONTACT WITH THE JUICE FROM THE GRAPES (ALSO KNOWN AS THE “MUST”). NUTRIENTS AND SPECIFIC TYPES OF YEAST ARE ADDED TO THE CRUSHED/PRESSED GRAPES IN ORDER TO PRODUCE THE SPECIFIC FLAVORS AND TYPES OF WINE WE WANT TO MAKE. A FERMENTATION PROCESS OCCURS IN OUR STAINLESS STEEL TANKS AND WOODEN BARRELS, ALLOWING OUR WINE TO AGE THE NECESSARY AMOUNT OF TIME NEEDED PRIOR TO BOTTLING. Once the wine has aged a precise amount of time, we sterilize our glass bottles, and using an automated system, transfer the wine into its new home. We generally use green bottles for our red varieties and clear for our whites and rosé. 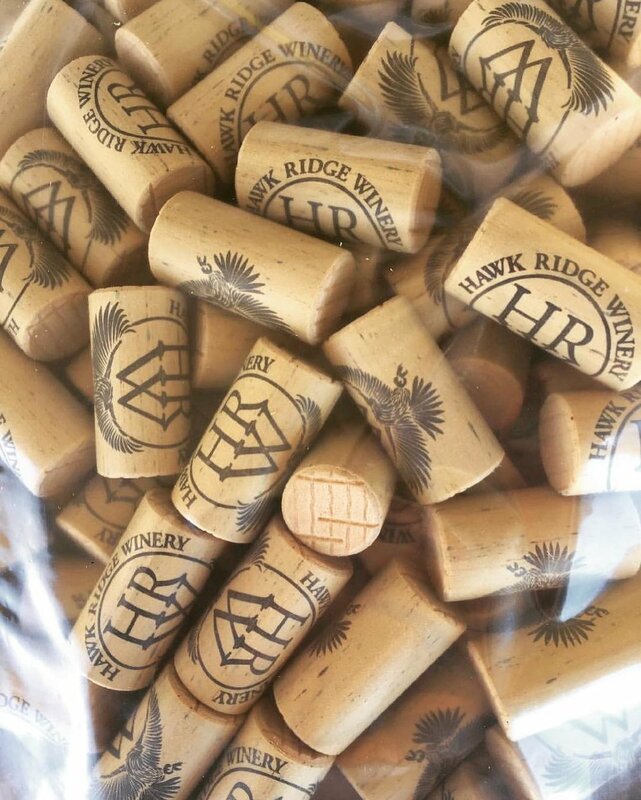 The bottles are corked, heat wrapped, and labeled. Depending on the variety, we store them for several years or put them into inventory. They are then ready for your enjoyment!